10 dialog box to assign tasks to resources on your team. The newfangled way to assign enterprise resources to tasks in an enterprise project is to find and replace, or substitute, resources that have the qualifications and availability you're looking for. Whether or not you have enterprise resources already added to your project, you can use the Resource Substitution Wizard to help you assign project tasks to the right resources. Essentially, you assign placeholder resources possessing certain attributes to the tasks that need to be staffed. Those placeholder resources can be generic resources, local resources, or other enterprise resources. The attributes are defined through an RBS or other enterprise resource outline codes, and can represent traits such as job codes, skills, specialties, certifications, languages, and so on. After the placeholder resources are assigned to tasks, you can run the Resource Substitution Wizard, make a number of choices to dictate how you want the substitutions to take place, and then let it do its thing. You review the results and can decide whether you want to update your project with those results, save the results for another time, or discard those results. • Set up the enterprise resource pool. • Set up the RBS and any other enterprise resource outline codes in the enterprise global template. • Apply the RBS and any other enterprise resource outline codes to resources in the enterprise resource pool. For more information about setting up the enterprise resource pool, creating enterprise outline codes, or applying enterprise outline codes, see "Administering the Enterprise Resource Pool" on page 598. 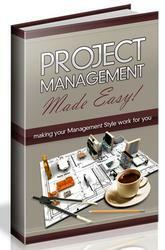 • Save or import your project plan as an enterprise project on the project server, if not already done. • Associate the RBS or other enterprise resource outline codes to the generic resources, local resources, or enterprise resources that you want matched and substituted. • Assign generic resources, local resources, or enterprise resources to tasks for which you want resources to be matched and substituted. For more information about saving or importing a project to your project server, see "Creating a New Enterprise Project" earlier in this chapter on page 645. For more information about creating a generic resource and assigning enterprise resource outline codes, see "Replacing and Matching Generic Resources" in the previous section on page 665.